Chocolate ( Friend or Foe ? ) - ThaBadbrey Herbal. What you are about to read, is an Email reply given by myself, in response to a plethora of queries & questions that I often receive repeatedly, from many clients who have had Nutritional Consultation appointments at ThaBadbrey Herbal. “Isn’t Chocolate suppose to be good for you? So, I decided to take it upon myself to send a “Nutritional Update” Email message, which would deal with the many inquiries I would often receive from clients, in regards to Chocolate consumption. 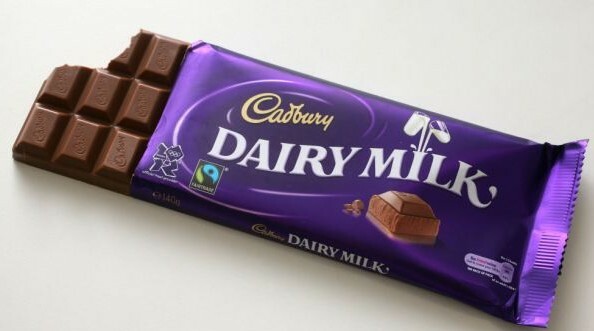 It came to my attention some time ago, that many individuals who reside within today’s so called “Modern-Society”, are completely unaware of the health implications pertaining to the consumption of “Chocolate”. “Chocolate”, (or “Cocoa/Cacao”) is a common choice of “Pick-Me-Up” snack of many individuals who feel as though their energy levels are lacking in someway. This is usually at some point during their working day, when their blood sugar levels take a nose-dive(as a result of eating “processed-food”, which has a high glycaemic-index, for their breakfast in the morning, as well as continuing to do so throughout the day), thus they feel as though they have no other alternative than to reach for the “chocolate” bar of their choice. The problem here lies within the detrimental health implications which can follow as a result. 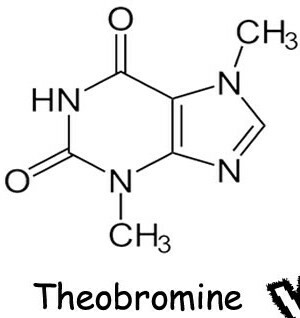 “Chocolate” is derived from Cacao/Cocoa beans (Shown in the Image Above), and within both its raw and unprocessed state(as well in the finished commercial product, after processing, final manufacture and preparation has taken place), contains a substance called “Theobromine”(the diagramatical “Molecular Structure” of which, is shown in the image displayed below), a bitter alkaloid of the Cacao/Cocoa plant. This Alkaloid is in fact one of the main reasons why many individuals seem to be addicted (Yes…I said “ADDICTED”) to eating and drinking (and in some cases, smelling) “chocolate” in nearly all its forms. Not only is this stimulant (theobromine) addictive, but in high doses, it has also been shown to cause nausea, anorexia, sweating, trembling and severe headaches. Not to mention, that if “chocolate” is fed to dogs, it can cause poisoning, canine vomiting and even induce arrhythmia and fatal heart attacks. Scientific evidential analysis even shows that whenever “chocolate” is consumed regularly by human beings, the level of theobromine intake of the “user” during this period, can cause them to go through withdrawal symptoms whenever they go without the substance for a specified period of time thereafter. These include mood swings, depression and irritability…to name a few(Hmm….sounds to me like “chocolate” is indeed a drug, and that the commercial “Crap”, sorry I meant to say, “Food” manufacturers have once again, got “Us” the people addicted to this substance). 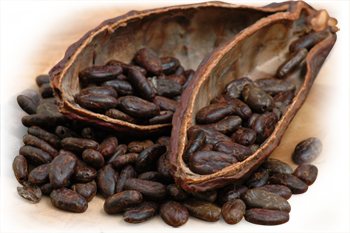 As a herbalist, it is very obvious to me, that in small therapeutic doses, and when used over a short term period, raw “Chocolate/Cacao/Cocoa” (or shall I say “theobromine”) can have a health enhancing effect upon human physiology. It can dilate blood vessels, bring down blood pressure, dilate the airways within the respiratory system and stimulate urine production as a light-diuretic. However, this is the effect of short term use of raw “Chocolate/Cacao/Cocoa”, minus all of the other toxic crap that is added to the toxic commercial “chocolate” bars that are exclusively available within today’s modern food supply. (Don’t get me started upon this deadly substance, I could do a whole lecture on “Refined Sugar” alone!). (If you are not familiar with the article I wrote on “Dairy” consumption, you can read it here -> Got Milk? Please Note, that the above list does not include the many other toxic ingredients that appear to be seamlessly embedded within today’s commercially manufactured “chocolate” bars. All of which add further to the deleterious effect, that the consumption of “chocolate” (of any kind) has upon the health of the human body. This is why I avoid this substance, if I can help it, at all costs, unless it is to be used for medicinal purposes in minute therapeutic quantities, and for very short-term periods of time, and ONLY as and when it may be beneficial to health in some way. “Chocolate/Cacao/Cocoa” is a drug, and the commercial versions of it are Even Worse. Eating and/or Drinking this substance in its raw form in excess, can have detrimental Health effects on either a short or long term basis. Eating and/or Drinking this substance in its commercial form at Any Quantity ( in Excess or Otherwise) is not recommended, as it is a toxic substance and should not be allowed to be consumed by human beings due to it being a poison. There is much more that can be elaborated upon pertaining to the subject matter being briefly dealt with here. If more information is indeed required and/or requested, please feel free to contact me to arrange for a Nutritional Consultation. End of “Nutritional Update” Email Response.